Not only do we celebrate National Nutrition Month, Registered Dietitian Nutritionist Day and St. Patrick’s Day in March, but did you know there is also National Nap Day, American Diabetes Association Alert Day and Take a Walk in the Park Day? In fact, this month is the time of the year when the Academy of Nutrition and Dietetics celebrates expertise of registered nutritionists as the nutrition, health and wellness experts. All this makes it even more crucial for nutritionists, and fitness experts to reach out to your target audience and represent your health and wellness brand in the most appealing manner. People look up to registered dietitians as the indispensable providers of right food and nutrition advice. 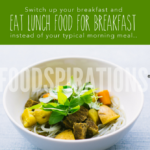 Having worked with registered nutritionists, we know how tight their schedule is. 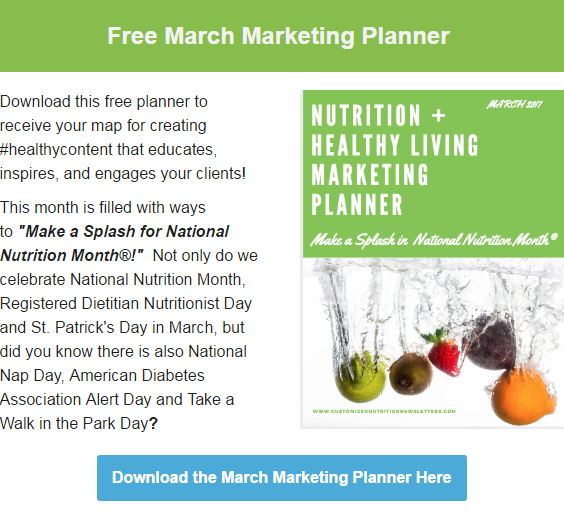 To make our health and wellness experts lives easier, we have come up with Free March Marketing Planner which provides you with a map to create healthy content that educates, inspires, and engages your existing and potential clients! 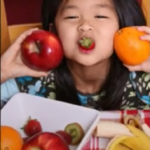 Do you struggle every time to create nutrition newsletter content to send to your clients? Worry not! 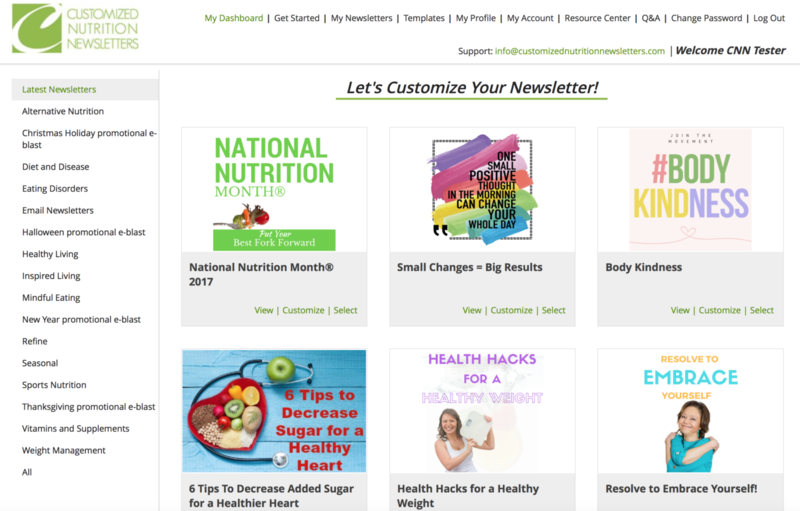 Customized Nutrition Newsletters offers 12 months of fresh and informative newsletter and blog content that you can use to promote your health and wellness business. We have hundreds of nutrition and health related articles ready to be used in your Customized Nutrition Newsletters template. Take a trial and receive ready made content for your e-newsletter and blog! Do you find it hard to create eye-catching graphics to promote your nutrition business on social media? 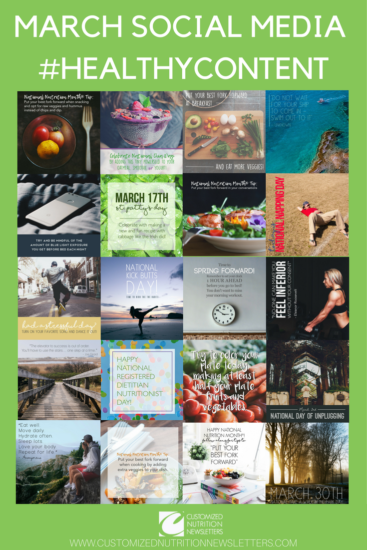 As March is the Special National Nutrition Month, avail the offer of purchasing 20 beautifully designed graphics for only $50.00. These images can be used to on Instagram, Facebook, and Twitter as well as on your blog or website. With this Social Media Memes bundle, you also receive a word doc of pre-written text for your social media post as well as popular hashtags to help increase followers.